High school and the time around it is about growth. I have grown so much in so many areas since my freshman year. The area of growth that has been the most important in my life has been communication. It is a strange time to find a voice to communicate with. Without lots of formal training or expertise, it is hard to communicate with authority; however we are also reaching the age where professionalism and confidence are expected parts of communicating. The work we do as Peer Leaders is centered around helping adults and doctors so they can improve the way they talk to their teen patients, however the opposite lesson is also super important for us. These are the lessons that I have found most useful around communication. Out of everything, understanding your audience is the most important lesson I’ve learned. In one particularly unpleasant week of my senior year I had two college interviews and a job interview. My first one was with a 70 year old Vietnam veteran; however the ones that followed were with individuals in their early 20’s. I found that understanding different perspectives that came with different life experiences of these individuals was key in communicating with them. From your manners and grammar, to the subject matters, being able to understand the perspective that a given audience experiences, will help inform the way you interact with them. You can sometimes make some assumptions about your audience from looking at them, but not always. For example; I would not have begun a conversation with the 70 year old interviewer by discussing the new snapchat update because it is probable that he would have less of an understanding than the younger interviewers. I’ve also learned that it is wise to wait until you’ve talked to a person and learned some actual information before you begin to gleam insights into how to present yourself (in the case of an interviewer, googling them beforehand is an invaluable source of information). I discovered that adults really do want to connect with teens. They are interested to see that the next generation is passionate about things, and has unique and interesting opinions. In that sense having the confidence to have an open discussion with an adult is the best way to communicate. 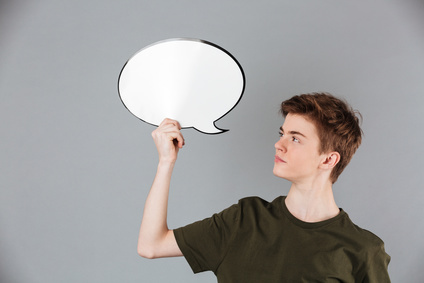 Whether it is your parent, a job interviewer, a teacher, a healthcare provider, or another adult, there seems to be a serious appreciation for what you have to say. That being said, the second lesson of communication I’ve learned is respect, which is rather intuitive. I don’t think there are many people who would consider a disrespectful attitude a token of good communication, but it is especially important when conversing with authority figures and adults. If your goal is open, honest, and productive communication with them, it is super important to treat them as what they are; someone to learn something from. I have found that when I have showed a passion for something, respected their specific context and tailored my manners to match it, been curious to learn from their perspective and experience, and been generally open, honest, and respectful, the conversation will be as well.